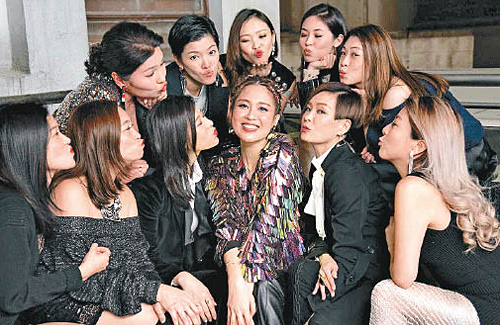 Turning 40 years old on January 17, Sharon Chan (陳敏之) had a big birthday bash with her close friends. She set a bling bling dress code requirement for her female attendees. For her male friends, Sharon said they must come to the party with a 007 look. 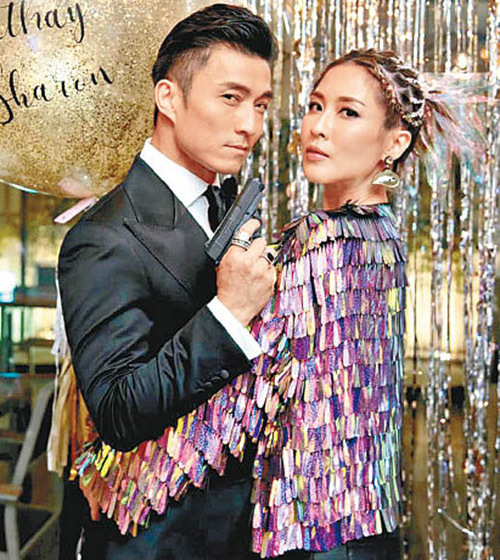 Friends who attended Sharon’s party include, Joel Chan (陳山聰), Benjamin Yuen (袁偉豪), Myolie Wu, Christine Ng (伍詠薇), Stefan Wong (黃長興), and Oscar Leung (梁競徽). Getting older by one more year, Sharon said this birthday is definitely worth remembering. She confidently believes that she could only get more beautiful as the years go by. Besides celebrating early with her friends, Sharon brought her mom to attend the party her fans threw her. However, Sharon revealed that she won’t have time to celebrate her actual birthday due to the fact that her son has his school entrance interview on the very same day.